Ubisoft might not be as sneaky as it thinks. We’ve known for a while that Assassin’s Creed 3 Remastered is hitting PlayStation 4, Xbox One, and PC this spring. But it seemed rather odd that Ubisoft wouldn’t also bring the game to the Nintendo Switch. According to DualShockers, however, evidence for a Switch port has been uncovered on Ubisoft’s own website — and the Switch version will have the same release date as all the others. A Twitter user by the name of @Croc0clock gets credit for first discovering the info, which could only be seen by those logged into their Ubisoft Club accounts. The official Assassin’s Creed 3 Rematered page looks a bit different when you’re logged in, it seems. Because — like magic — the Nintendo Switch is suddenly shown as a destination for AC3, and it shares the same March 29 release date as the PC, PS4, and Xbox One versions of the game. DualShockers is speculating (and we agree) that the reason Ubisoft hasn’t announced the Switch version of Assassin’s Creed 3 Remastered is so that Nintendo can — likely in an upcoming Nintendo Direct. There’s a good chance that Darksiders: Warmastered Edition, which also leaked ahead of schedule, might have been angling for the same reveal. Unfortunately, THQ Nordic accidentally leaked the game’s trailer, and might have pushed its announcement forward as a result. Assuming this isn’t an error, it’s great to finally see another big-budget third-party game on the Nintendo Switch. And hopefully it’s a sign of things to come. We’re likely years away from new Super Mario and Legend of Zelda games, and Metroid Prime 4 just had its development rebooted entirely. Without Nintendo pushing its biggest first-party franchises on the Switch, third-party developers are going to have to step up and fill the void. 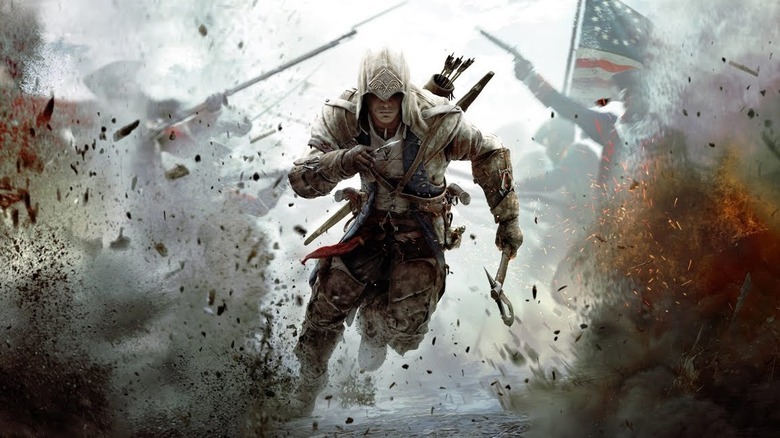 Assassin’s Creed 3 Remastered isn’t a new game, technically speaking. But if you skipped out on it back in the PS3/360/Wii U days, it’ll definitely be worth checking out on the Switch. Fingers crossed.